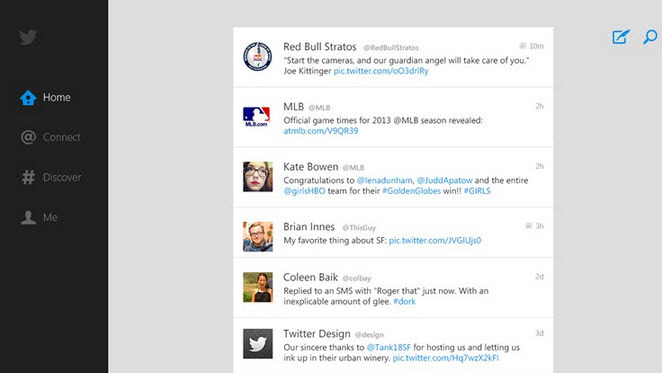 Twitter has released native app Twitter app for Windows 8 and RT. real-time stories, pictures, videos, conversations, ideas, and inspiration all in your timeline. your interests to get unfiltered access and unique behind-the-scenes perspectives. Express yourself with photos, videos and comments. Discover new topics from people in your network and other information like Trends and Who to Follow suggestions. Create the ultimate screen with Snap view on Windows 8.